Some 28 bodies have been recovered from the wreck of a sunken Haitian Sloop so far on Sunday. BP BREAKING ABACO | Officials say at least 28 Haitians have drowned so far off the coast of Abaco near Fowl Cay. This is the latest tragedy at sea for migrants seeking to leave the Caribbean’s poorest economy. The joint recovery efforts on Sunday with local authorities and dive operators were successful in locating the wreckage. Divers found an additional 15 bodies in the sunken vessel. 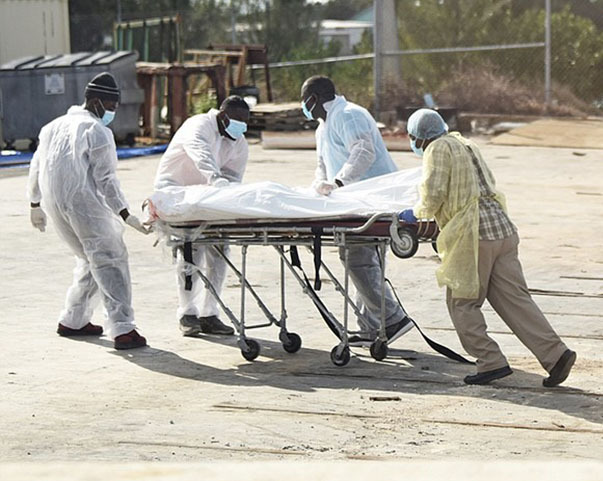 Some 13 bodies were recovered on Saturday, with some having washed ashore. Two men (both Haitian nationals) were found alive on a nearby cay. The discovery brought a total of 17 persons to have been rescued alive, and 28 bodies have so far been recovered from the water. Something must be done in the world to arrest this human trafficking crisis unfolding out of Haiti. Previous articleTwo men on bail for murder were ganged in Bank Lane on Friday afternoon right outside the courts! Next articlePeter Turnquest say the economy is on the road to recovery! Last year Minnis said the economy is growing. Last week the Department of Statistics said unemployment is up! WHAT IS THIS?